Blogs & Newsletters may be the standard-bearer tools of effective Content Marketing in this media-enabled world in which we live, but people certainly enjoy getting their information via video and audio, too. And your business can boost its profile, as well as its value to prospective customers, by posting informative, entertaining electronic media online. As we constantly remind you, Content Marketing should be utilized as an organic way to bring customers to you, not as a hard-sell device to plug your products. But in the case of tutorials, we’ll relax that edict just a bit. If you have items in your product line that benefit from a little hands-on instruction, posting “How-to…” video guides can be a great way to ease customers over that “is it user-friendly?” hurdle. Tutorials can also be posted to provide customers with information on how not to engage their services or products. Huh? Yes, you read that right. It may seem counterintuitive at first glance, but let’s say a plumber posts videos on how to fix a jammed garbage disposal or a clogged toilet. Now if these instructionals allow the customer to save hundreds of dollars by fixing one of these problems him- or herself, who do you think they will call the next time they have a plumbing issue they can’t handle themselves? Exactly. By providing free and valuable advice, you’ve earned a loyal customer in advance. Video content on your website doesn’t have to be limited to tutorials and “How-to…” guides. Depending on the nature of your business, you’re limited only by your imagination and your resources. Just make sure the content is of some value to your visitors and pertinent to the inbound approach of drawing customers closer to a sale. Cooking shows have been popular throughout television history, so any type of food-oriented business might want to create some video content. Post your videos on YouTube and then embed them in your website by pasting a link on the appropriate page (it’s easy, really—ask your site provider if you need help). As you build a library of videos on YouTube, you’re also promoting your business and site externally, which is an added bit of organic marketing. 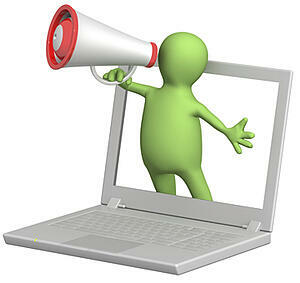 Are the equivalent of event-hosting on your website. First, come up with a topic that’s likely to be of interest to a majority of your followers, as well as people who may be prospective customers. This topic should also be phrased in a way that it would show up in search engine results. Example: “Shooting Black & White Photos with Your Digital Camera” instead of “Black & White Photography,” which is far more generic. Now you’ve got to promote this event in advance, so put on your PR cap. Of course, announce it on your website—perhaps post a brief introductory video. Tout it in your email newsletter and don’t hesitate to mention it in a blog post or two. Plug the webinar in repeat social media posts via LinkedIn, Facebook, Twitter and other mechanisms. Require people to sign-up, as this will not only allow you to send email and social media reminders, it will also provide you with a potentially strong list of business leads. Your Webinar may be a simple as you speaking into a web camera, or it may be far more elaborate, with pre-produced media elements and infographic slides. This can be conducted from your office desk or in a room or auditorium with other panelists and guests. Just make sure in advance that your video and audio quality can be clearly viewed and heard. Don’t make your webinar any longer than it needs to be—people have short attention spans. And record it so it has some legacy value on your website and YouTube. Audio, video or both, these are often the equivalent of A/V blog posts and can usually be executed seated in front of your computer or tablet screen. Broadcast these at a regularly scheduled time, then post links and archive them on your website. Technical help with all of these initiatives can be found on the Internet, by consulting with your web services host, or probably just by talking to your teenage children. Don't miss part three of our Content Marketing Strategies Now series, White Papers/Case Studies/Research/eBooks, posting on January 7, 2014.